Product prices and availability are accurate as of 2019-04-21 13:56:18 EDT and are subject to change. Any price and availability information displayed on http://www.amazon.com/ at the time of purchase will apply to the purchase of this product. Shift + breakfast! The Keyboard Waffle Iron is designed from the waffle-out. 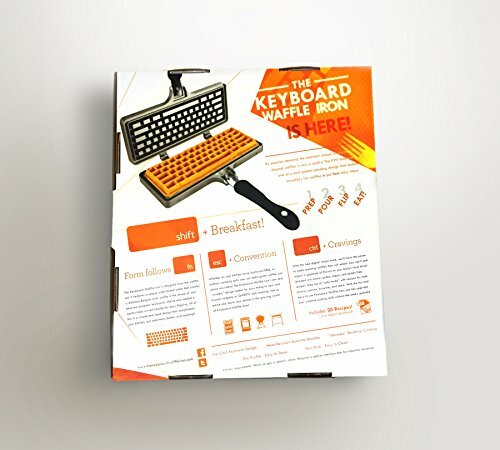 The large waffle pattern creates a Belgian-style waffle that is the shape of gamers and developers' beloved keyboards. The curved, heat resistant handle makes this pan so easy to flip that you will want to do it over and over again with your homemade creations. 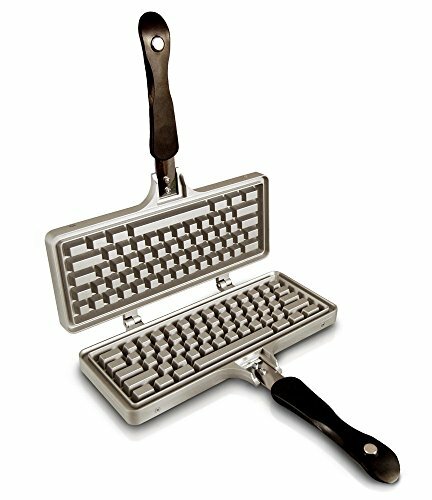 We inverted the keyboard keys to become the perfect wells to hold all of your buttery, syrupy toppings for a delectable byte. 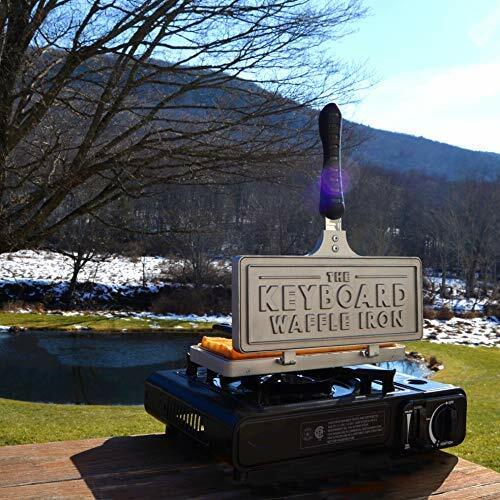 Perfect for on the go, this easy release waffle griddle can be used on a traditional stove, backyard barbecue, or even an outdoor camping grill. 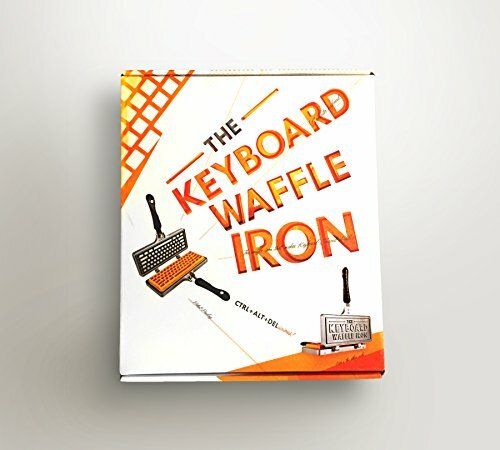 Reboot your appetite with The Keyboard Waffle digital recipe book that has options for many common diets; paleo, vegan, and gluten-free included. The possibilities are endless, give your body's hard drive what it needs: waffles!